Exquisite 4 Bedroom/4.5 Bath waterfront home located in secure and tranquil Bay Point. The oversized lot is 15,753 sq. ft. with 158 linear feet of water frontage and unrestricted bay access. This charming residence has been impeccably renovated with new electrical and plumbing, lighting, bathrooms and much more. The re landscaped lush garden boast a collection of over 40 tropical palm and exotic trees, as well as an expansive totally private pool and outdoor patio. 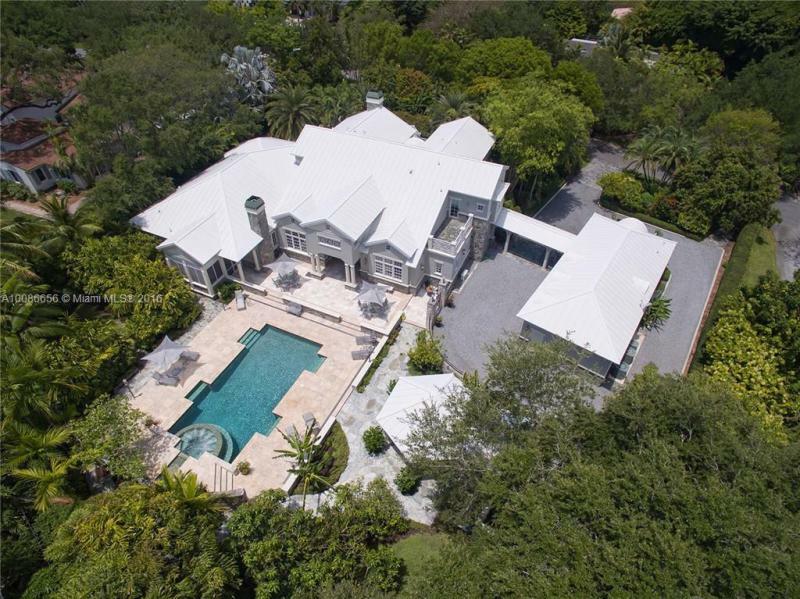 Stunning 8,506sf home, located in desirable N Pinecrest, sitting in over an acre of land.The house is in mint condition.Top of the line designer finishes throughout. Large eat-in kitchen,bar area,wine cellar,full Creston home automation system w/ built-in speakers throughout,security system,generator, spectacular lagoon-like pool w/Jacuzzi and heater, gazebo with summer kitchen and cabana bath, a masterfully designed oversized landscaping, just some of the features this home offers. Sold fully furnished.